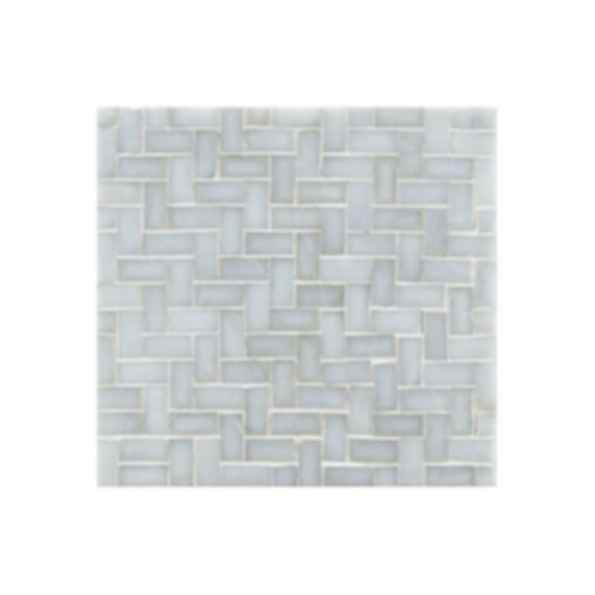 Profile, manufactured exclusively for ANN SACKS by Oceanside Glasstile, offers handcrafted glass tile with a luminous quality and beautiful surface texture. Profile is made from silica sand, an abundant natural resource, with most colors also containing recycled content. Profile glass tile is available in a rich palette of warm earth tones, soothing blues and greens, dramatic metallics and a vibrant red. Suitable for all wall applications. Flatter, iridescent pieces can be used as light duty flooring subject to normal foot wear with occasional amounts of abrasive soil. Suitable for pools and spas.